Royal Enfield is on a roll. The India-based motorcycle brand just opened a third factory last year on surging demand and announced two new parallel-twin bikes arriving in the U.S. this year along with the Himalayan adventure bike. But you know what isn’t coming to the U.S.? The gorgeous new Royal Enfield Thunderbird X. 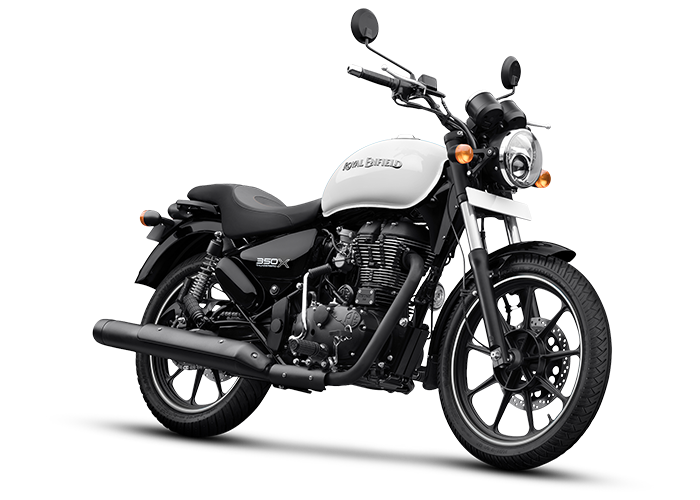 It went up on RE's website a few days ago and The Drive reached out to Royal Enfield North America asking about availability. We were promptly told "there are no plans to bring the Thunderbird X to North America," in an email. As you can probably tell by the look and by the name, the Thunderbird X is a cruiser with a heavy American influence. That makes it kind of mysterious why the bike isn’t coming to our shores. 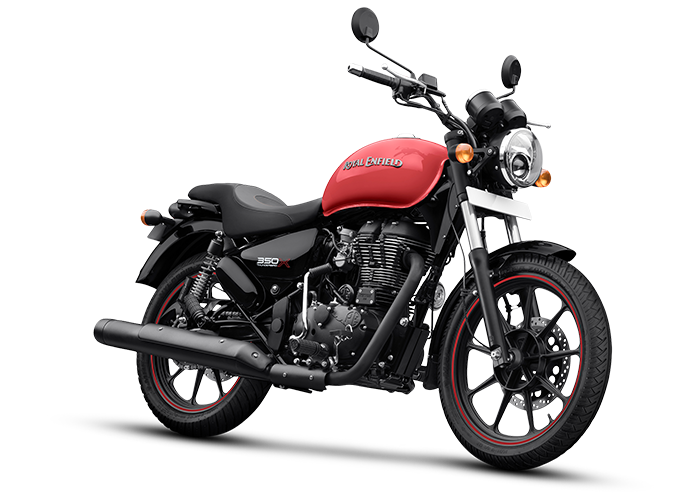 It would be a direct competitor to other small-medium sized cruisers like the single-cylinder Honda Rebel. The Thunderbird X is based on the existing Thunderbird (non-X) which also isn’t available in the States. That bike is a more traditional looking cruiser while the new Thunderbird X is “an urban-geared rendition of the machine,” according to the RE website. The idea is to have a factory custom look so you can buy a bike straight from the dealer that looks how you would want a Thunderbird to look when you’re done customizing it. The style of the Royal Enfield Thunderbird X is nothing short of stunning. This standard cruiser has an aesthetic that’s all blacked-out with the exception of the fuel tank and corresponding trim in the alloy wheels as well as the letter “X” on the side panels. It’s available in four vibrant colors, all of which contrast the black frame, engine, seat, fenders, and exhaust beautifully. The 350cc model is available in Whimsical White or Roving Red and you can get the 500cc model in Getaway Orange or Drifter Blue. Don’t even waste your time trying to pick a favorite, each one is somehow the best color. The Thunderbird engine is a single-cylinder, air-cooled four-stroke with electronic fuel injection available in two sizes: 350cc and 500cc. The 500 makes 27.2 horsepower and 30.4 pound-feet of torque while the smaller 350 makes 19.8 hp and 20.6 pound-feet. Those numbers might sound low, but they’re adequate considering the bike’s curb weight of 429 pounds for the 350 and 434 pounds for the 500. Royal Enfield has been making vintage motorcycles for a long time and the brand has recently seen huge success in India where the exact kind of bikes it builds are exploding in popularity. The Thunderbird X represents a step forward in styling for the brand showing that it’s not afraid to add a little modern to the retro mix. Here’s hoping it eventually comes to North America.